I got this, along with 'The Last Bright Light', last week, and have been playing the two continuously since. As is usual with this band, they start off the album with a couple of seconds from the end of the previous album. It is quite an effective gimmick, hearing the distant strains of 'Heroes Never Die', briefly played through a filter of windy sound effects. Then the first track kicks in, 'Winter Mountain'. It has to be said here, the vocals are the weakest point on this album. Bryan Josh, by his own admission, can't sing. However, on subsequent albums he has improved a lot. Here he sounds timid and awkward at times, never more so than on 'Through The Window'. Even Heather Findley, who can sing, sounds somewhat hesitant and tremulous at times. Nevertheless, these are minor gripes. The opener is a decent effort, with nice keyboards and a mid tempo feel to it. Then comes 'This Great Blue Pearl'. This starts off as a quite average song, but is rescued by some tremendous guitar playing from Josh at the end. A good song this, overall. I have to say here, that, although this band are often touted as 'the next Pink Floyd', I hear very little influence in most of the songs. Josh's guitar style owes more to Steve Rothery, to my ears. 'Pieces Of Love' is a lovely atmospheric piece, on which Heather Findley shines. Quiet and melodic, and melancholic, it is very nice indeed, but too brief, if anything. 'Please' is a good song too, with nice instrumentation and restrained, but effective guitar. Nice keyboards here off Iain Jennings, too. 'Evergreen' is a highlight amongst the songs here. Again we have effective vocals from Findley, and at the end, another superb guitar solo. Excellent stuff. 'Styhead Tarn' is, for me, another highlight on this album. Short and mainly instrumental, it builds up beautifully, with wonderful musicianship, and a repetitive line sung louder and louder by Findley. The next three tracks are the folkiest on the cd, and merge nicely into each other. 'Shindig' starts off almost as an Irish piece, and grows more powerful towards the end as the guitar is brought in. 'Blakey Ridge/When Waters Meet' are treated as one piece and are very folky. (Not a hint of Floyd here!) 'Underneath The Ice' is a song that doesn't seem to go anywhere, and is, in fact, quite a subdued piece, but good nevertheless. 'Through The Window', as mentioned before, is probably the weakest on the vocal front, and maybe my least favourite track on here. Driven along by some good acoustic guitar, it is almost a bedsit song, and is obviously personal to Josh. I can't say I dislike it though. 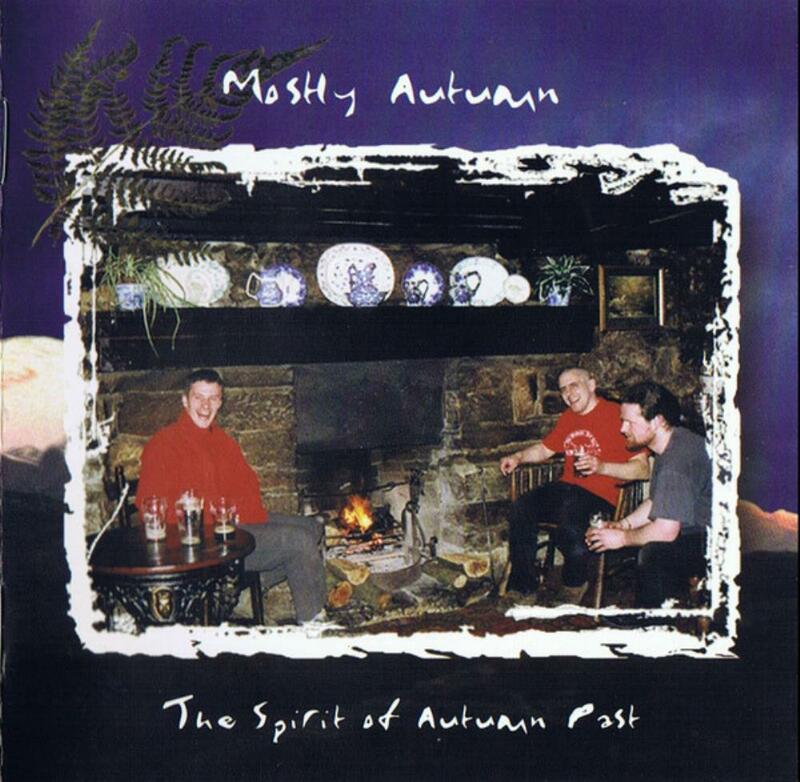 'The Spirit Of Autumn Past pt1' is a short instrumental, and very easy on the ears. 'Pt 2', which follows it, is a longer song, with good vocals. Mid paced, I find it very enjoyable. Finally comes the epic 'The Gap Is Too Wide', which is, I believe, a Mostly Autumn classic, and I can see why. It starts with moody keyboards and builds into a very memorable tune, and the guitar work at the end is stunning. A cracking track! Overall, I prefer their next two albums, but this is still a good offering. A band that should be more widely known than it is, I only got into them in the last three months, but I haven't been disappointed. Worth a listen or three!